The BMS 4552ND is a powerful 1" professional compression driver that delivers superb sonic quality in a small package. 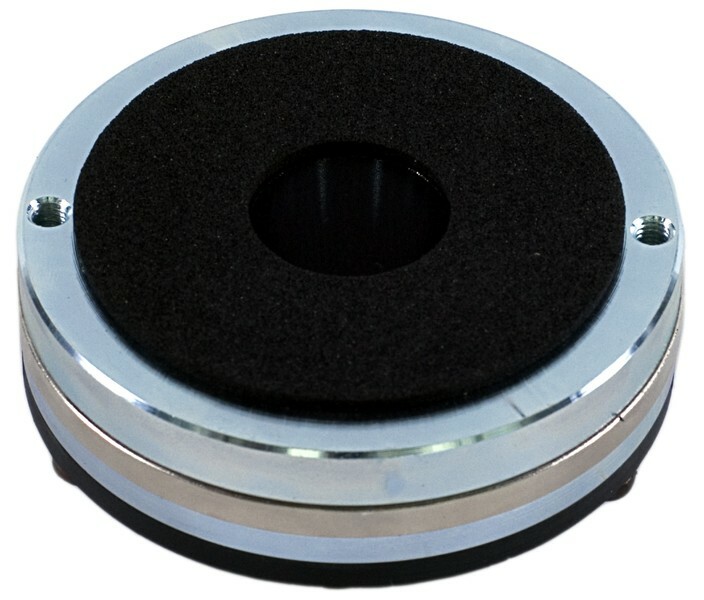 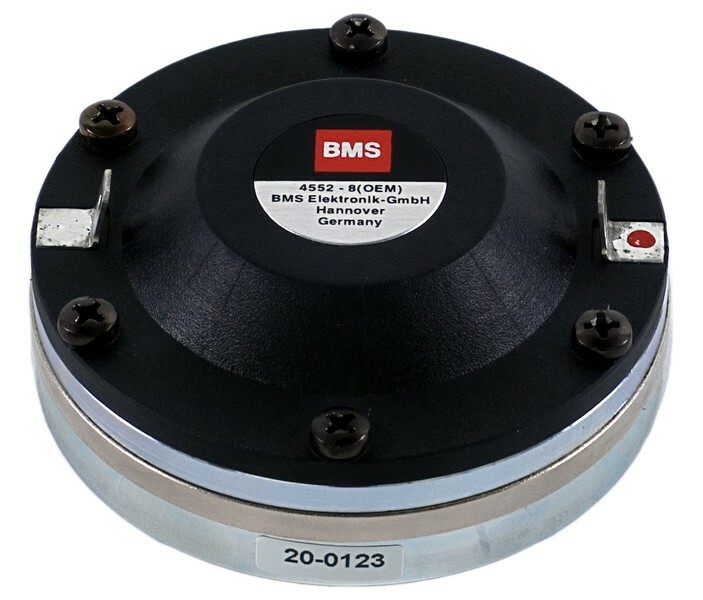 The unique BMS annular diaphragm together with the high energy neodymium magnet achieve very high sensitivity and linear frequency response up to 20 kHz. 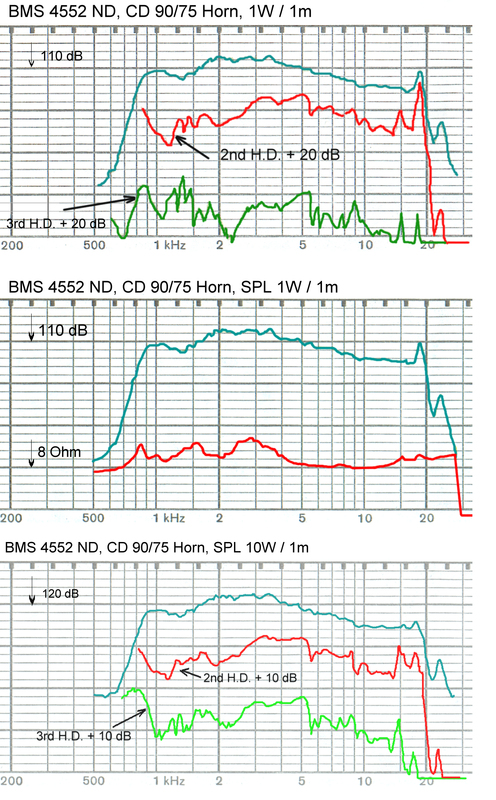 The sound of BMS 4552ND is extremely transparent and detailed, it has an exceptional dynamic range and produces even the most complex music signals with depth and definition. 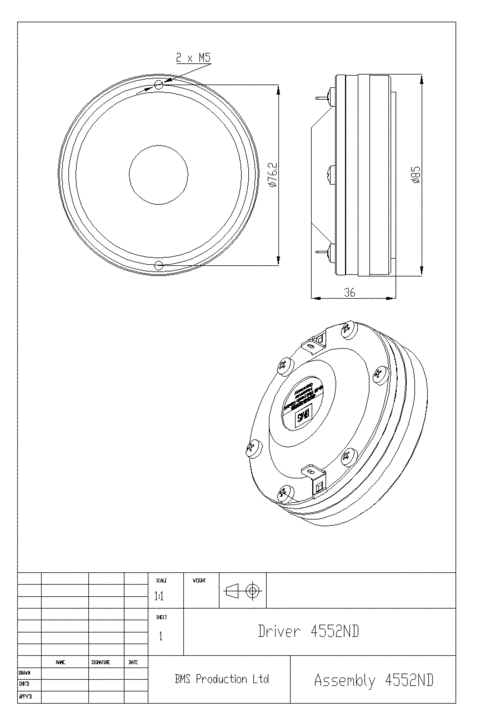 4552ND - 1" compression driver is designed for a wide variety of applications including high level professional reinforcement systems, studio monitors and high-end audio.